Magical Japan - with massive skyscrapers, golden palaces, shrines and temples, and an abundance of delicate cuisine a Cruise to Japan is one which many aspire. Do you coinside your trip with Cherry Blossom season or the Japanese Ski season? Whichever time you choose, we have many itineraries to suit your needs, schedule and interests. 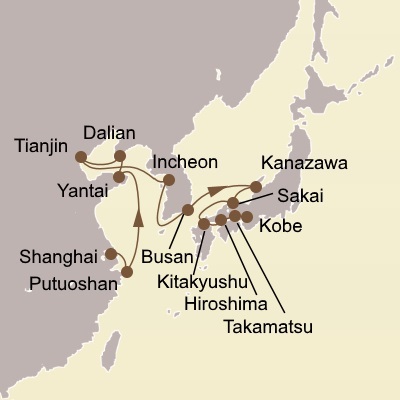 China and Japan Cruises are a popular choice for those wanting to get good value for money on sailings around Asia. For those more interested in delving into the Japanese culture, a cruise around Japan should take your fancy. We have a number of cruises available including departures from Sydney, Brisbane, Hong Kong and Singapore. Cruises to Japan from Australia depart from Sydney and Brisbane. Other international departure ports may include Singapore, Vancouver (Canada), and Hong Kong. Princess Cruises have got some fantastic itineraries for Cruises to Japan and China with some great stopovers in Darwin, Koh Samui (Thailand), Hong Kong and Ho Chi Minh (Vietnam) to name a few. These longer Japan cruises from Sydney and Brisbane are around 42 nights in length. Southeast Asia Cruise departures are also available from Singapore on shorter 14 night lengths. Princess also operate a number of cruises around Japan taking in various historical and culturally significant cities including Hiroshima, Nagasaki, Osaka, Kobe and Tokyo. 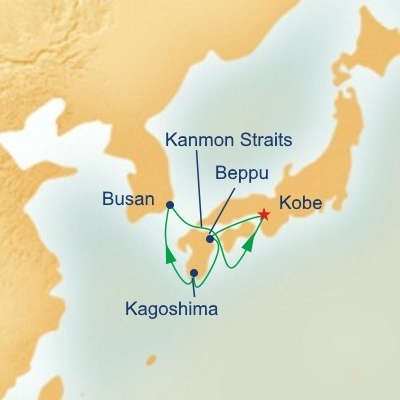 Cruises around Japan vary in length from 11 to 17 nights and may or may not include a stop in South Korea. Shorter cruises in Japan are also available for quick getaways at 5 and 8 nights taking in minimal ports. Celebrity operates some great cruises that include Japan. 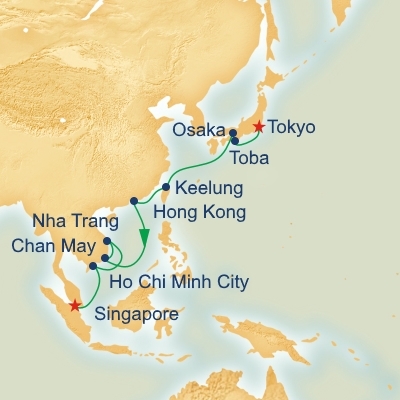 A China and Japan Cruise departs from Hong Kong and heads north passing through Taiwan and Shanghai and onwards to Japan. 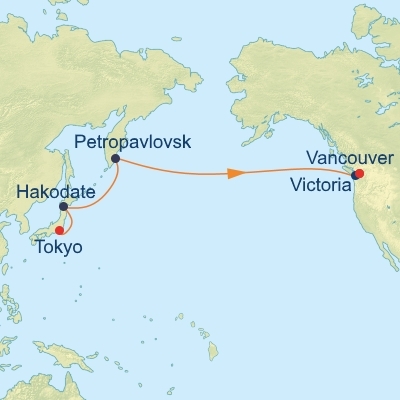 A longer cruise option from Vancouver Canada travels through the Pacific towards Japan and vice versa. Royal Caribbean also has a 10 Night Cruise to Japan from Singapore. 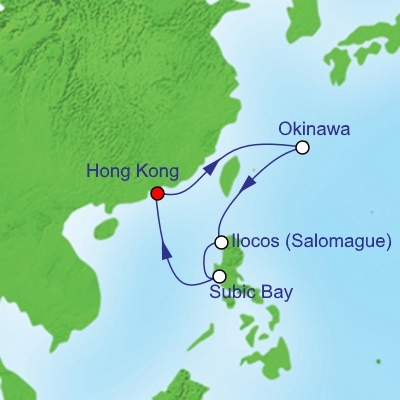 Japan Cruises operate mostly from February to October. Search our Cruise Sales page for Last Minute Japan Cruises.